8 - Pixelled Tanks: We were “working” for you for two hours and a half on the new “Wolfenstein: The New Order”, the newest instalment of the saga. Once again with Pixeled Tanks we keep you “on fire”. 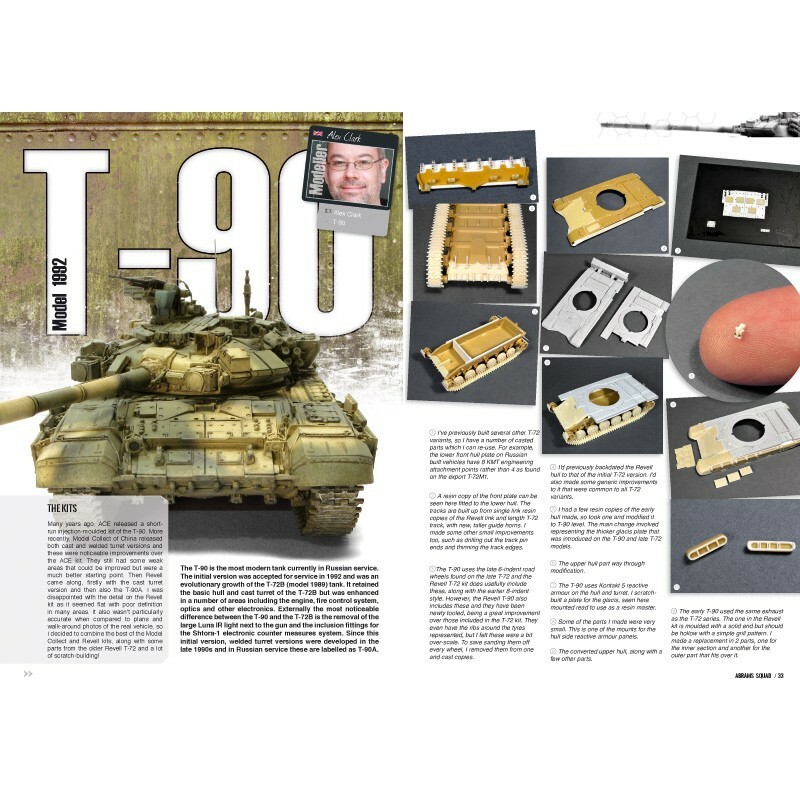 10 – Remote Thermal Sight: This time the recently appeared Leopard C2 Mexas produced by Takom is in the spotlight. 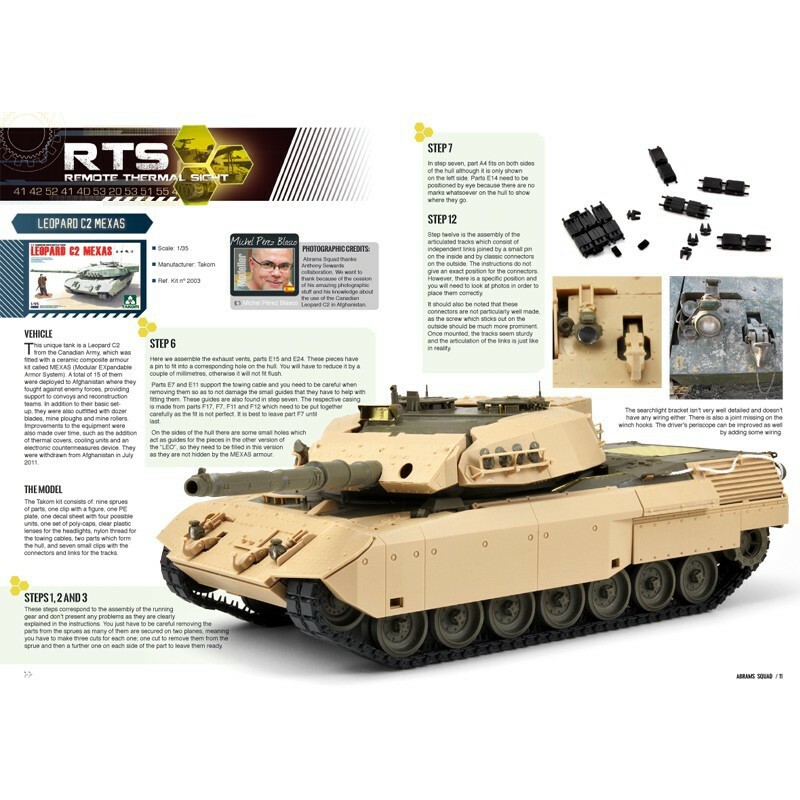 As usual in this section we detail its assembly just with the product that comes in the box. 20 – BMP-1 Iranian: Luckily Charlie Pritchett hasn’t hanged up the gloves and he has come back to the ring. 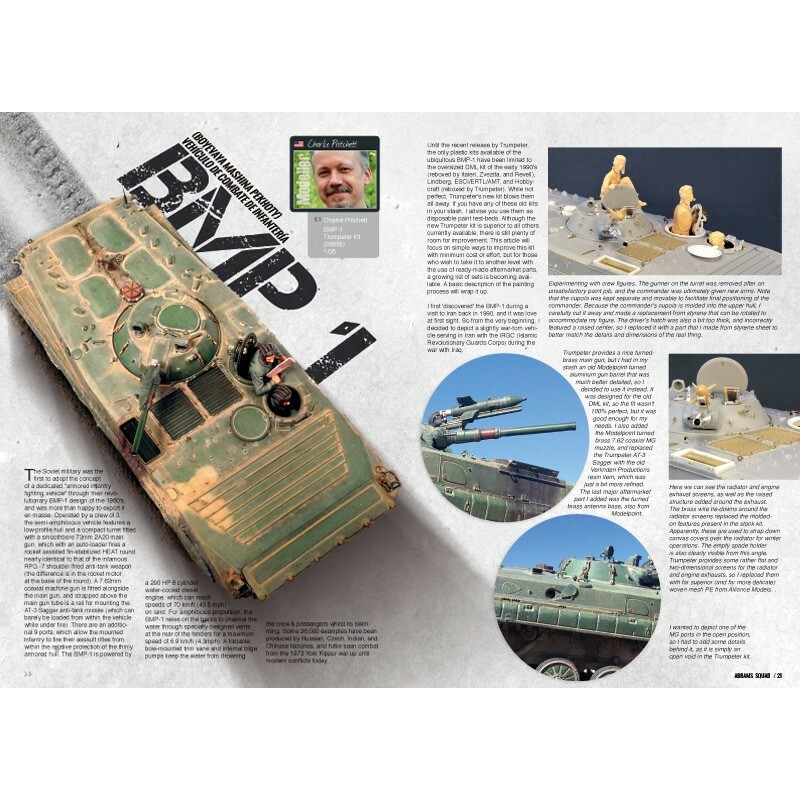 With this careful job about the BMP-1 from Trumpeter, he shows again his mastery to solve successfully any modelling challenge that he faces. 32 – T-90 model 1992: Who ever could be better than Alex Clark to teach us about scrath at 1/72? We learn and enjoy the essences of modelling with him. Here you have his impeccable work about this MBT. 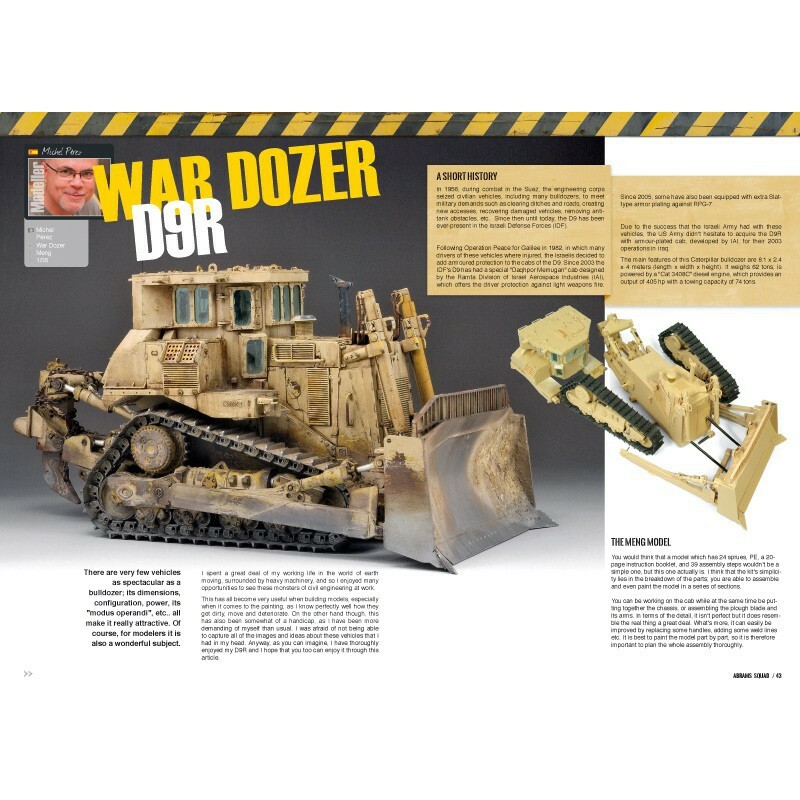 42 – D9R “War Dozer”: The D9R is without a doubt the model of the year. That’s not odd, it’s a good product about an undoubtedly attractive subject. Michel Pérez makes an effort to reproduce the thousand and one effects which can be seen in this kind of vehicles. He is in advantage, the hydraulic oil flows through his veins. 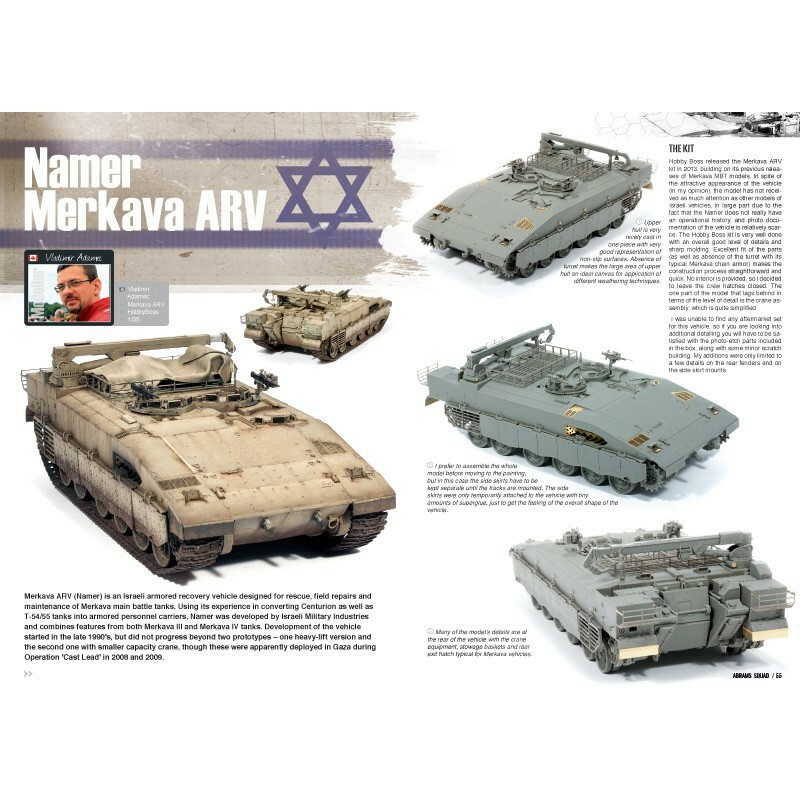 54 – Namer, Merkava ARV: Vladimir Adamec joins our Squad. 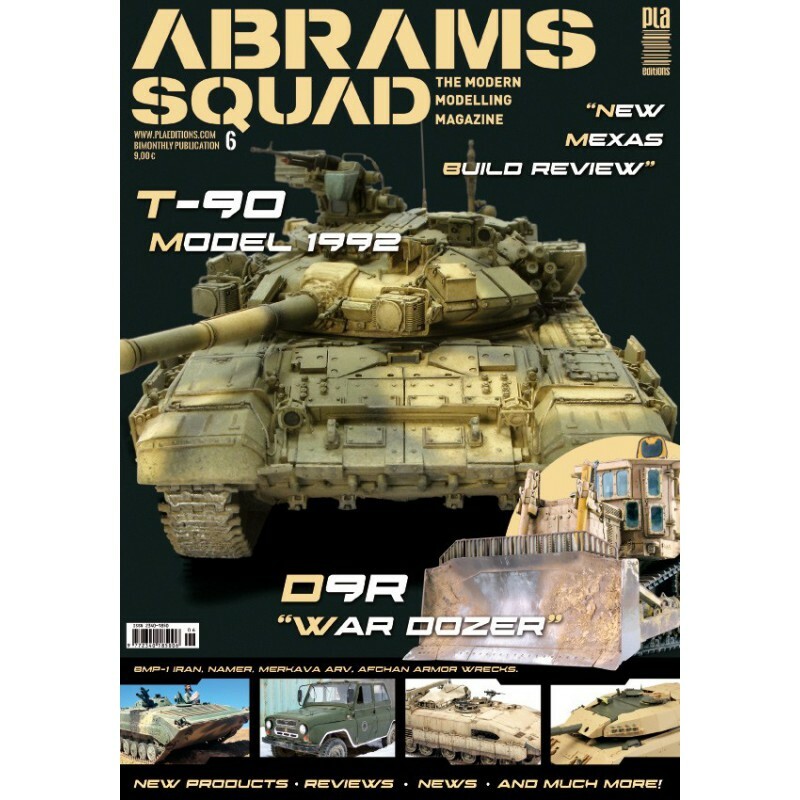 And he does it with this elegant job about the reproduction that Hobby Boss has made about the Israeli recovery tank based on the Merkava III. 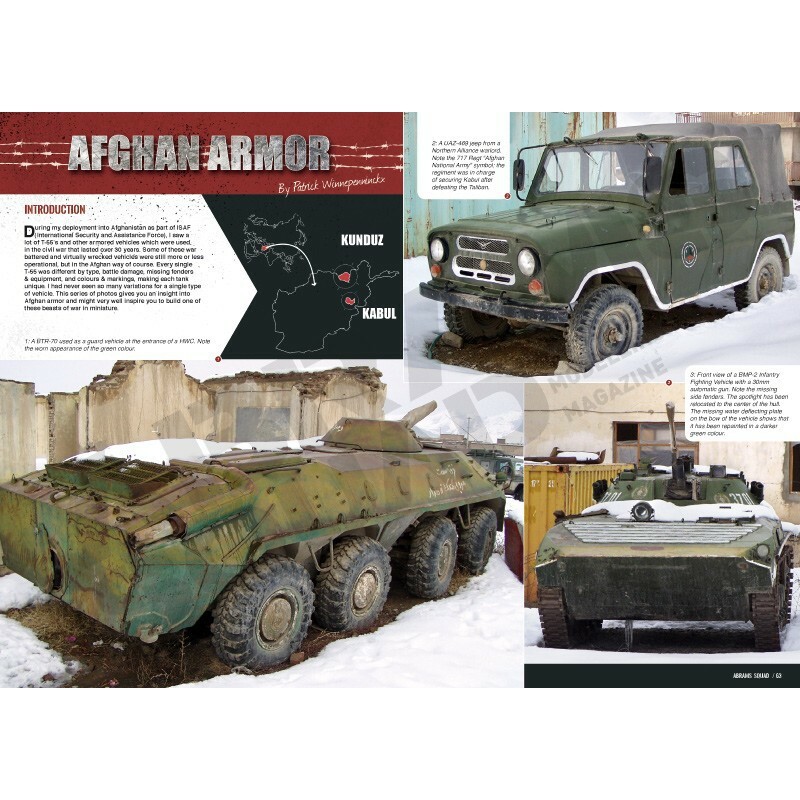 62 – AFGHAN ARMOUR: Colours, textures, shapes, variations and original subjects. The armored vehicles from the Afghan Armor naked by the hand of Patrick Winnepenninckx. Fascinating real vehicles photographs took during its deployment in Afghanistan as part of the ISAF. Enjoy them!